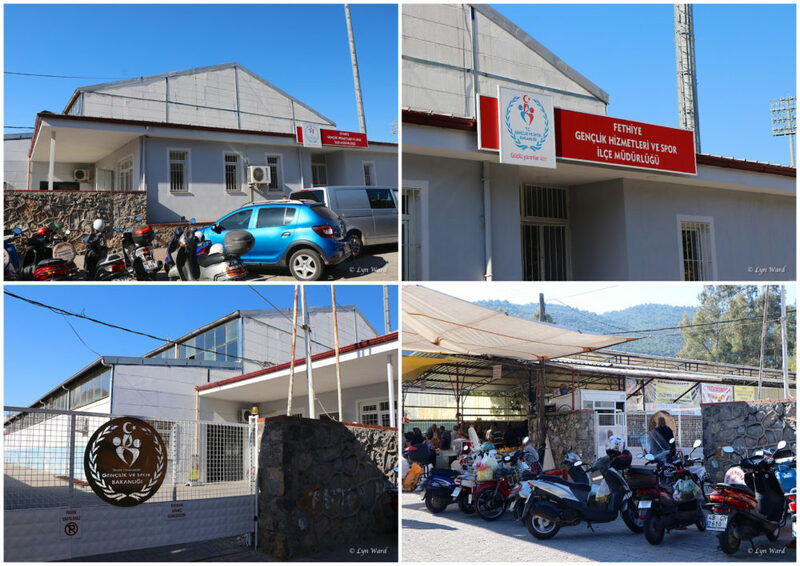 Stalls for the car boot sale must be booked in advance at the FETAV office in Fethiye. For more details about Yörefest, click on the link below to read our article about the March event. Come along to the Sea Shore Savers event and learn how to help our marine environment by keeping our beaches beautiful and clean. 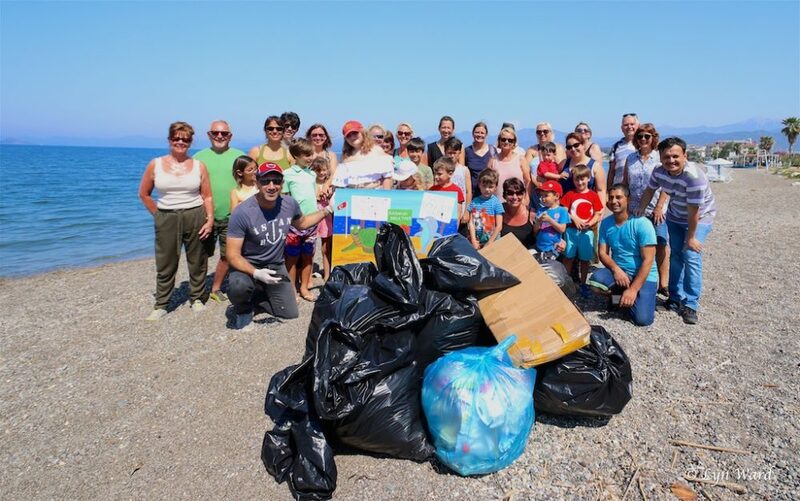 We will be meeting on the beach in front of Kerimoğlu Restaurant (Nomad Tents), Çalış for a beach clean and some fun and games afterwards. This is a great opportunity for everyone of all ages to learn and have fun for a great cause. If you’d like to know more about Sea Shores Savers, click on the link below to read about last year’s event. 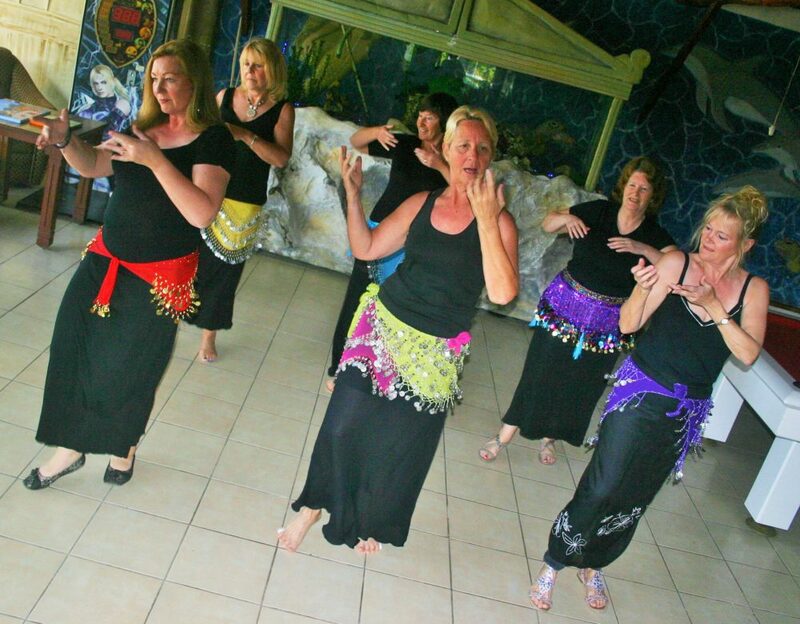 Fethiye and Çalış Creative Woman’s Group have moved to a new location. 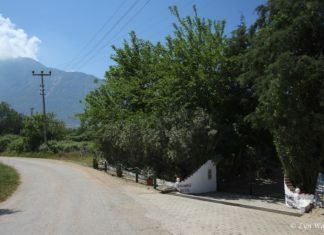 They are now based in the Yöruk Cadırı (Nomad Tents) at Kerimoğlu Restaurant which is on the left just before Şat Beach in Çalış. If you’re interested in find out more about the classes have a read of our articles from earlier this summer. 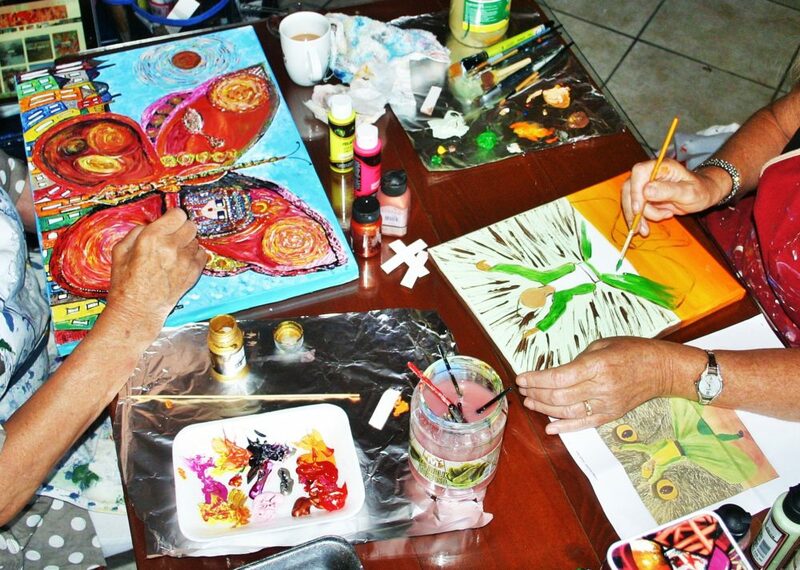 A wide variety of styles and subjects are covered during the art classes. 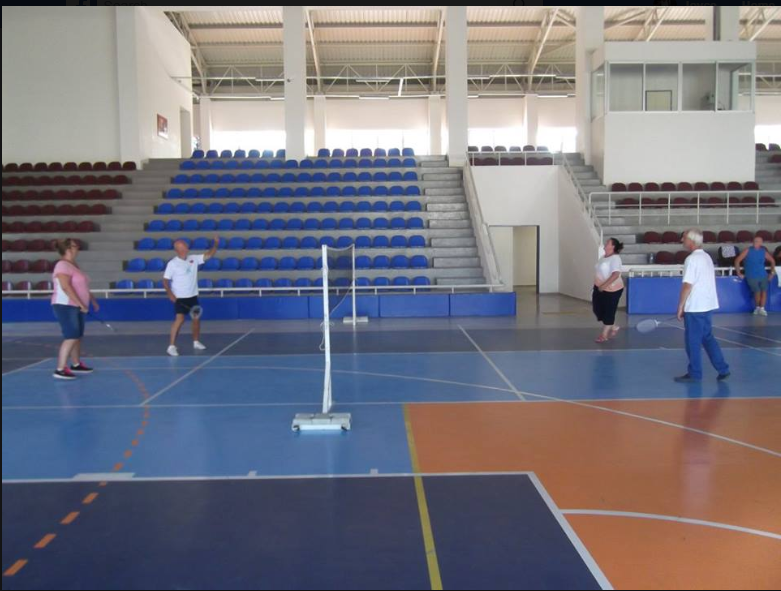 Did you know you can play badminton in Fethiye and Seydikemer? The group is open to all levels of experience, from those who have never played before to member who have been playing for many years. It’s a healthy and fun way to meet new people. There are spare rackets available. The group meets every Tuesday from November to April/May from 10am to 12 noon. 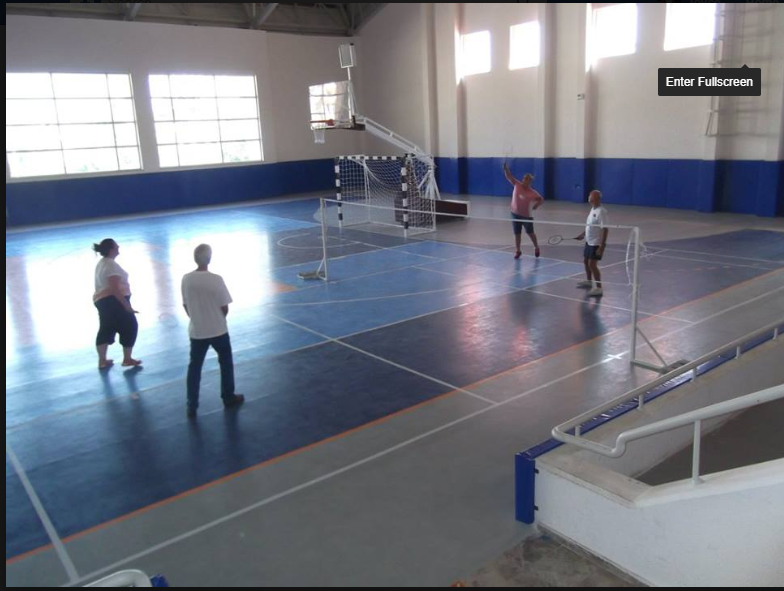 They meet in the old hall that is part of the Fethiye Gençlik Hizmetleri ve Spor İlçe Müdürlüğü by the Tuesday market. 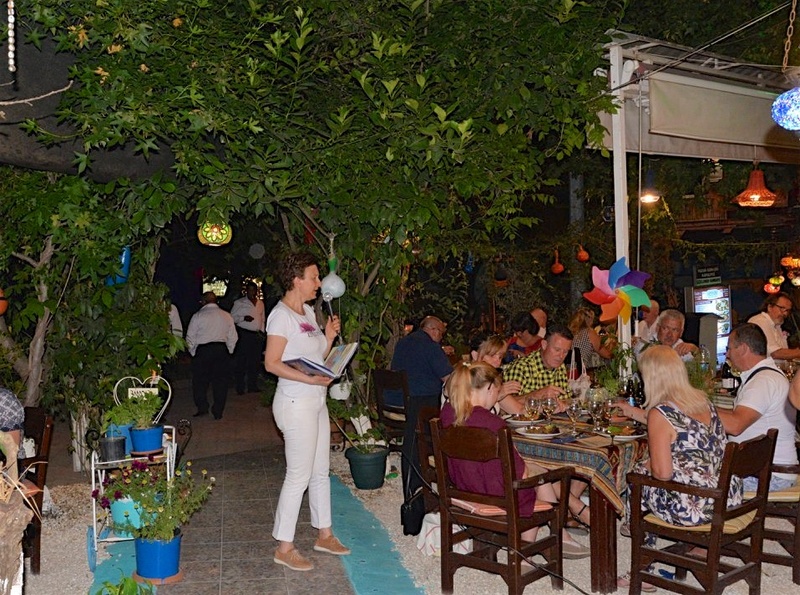 In Seydikemer, the group meets all year round – every Friday from 01:30pm to 03:30pm. 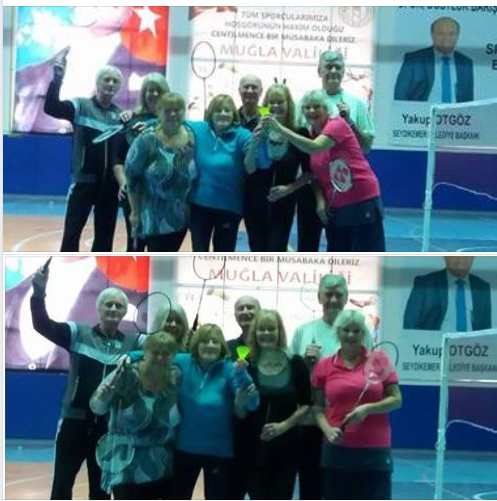 They meet in the Seydikemer Sports Hall next door to Anadolo Lisesi school. Badminton has its origins in ancient civilisations in Europe and Asia. The ancient game known as battledore (bat or paddle) and shuttlecock probably originated more than 2000 years ago. Modern badminton can be traced to mid-19th century British India. It was created by British military officers stationed there. A net was added to the traditional English game of battledore and shuttlecock. Please join us for a Scrumptious Turkish breakfast spread at the lovely Yakamoz Hotel on Thursday, April 25th from 10 am to 12 noon. Ozlem Warren is delighted to come back to Fethiye and join this lovely breakfast and meet everyone; she will talk about Turkish cuisine and stories from her homeland that inspired her book, Ozlem’s Turkish Table: Tales from My Homeland, during the breakfast. 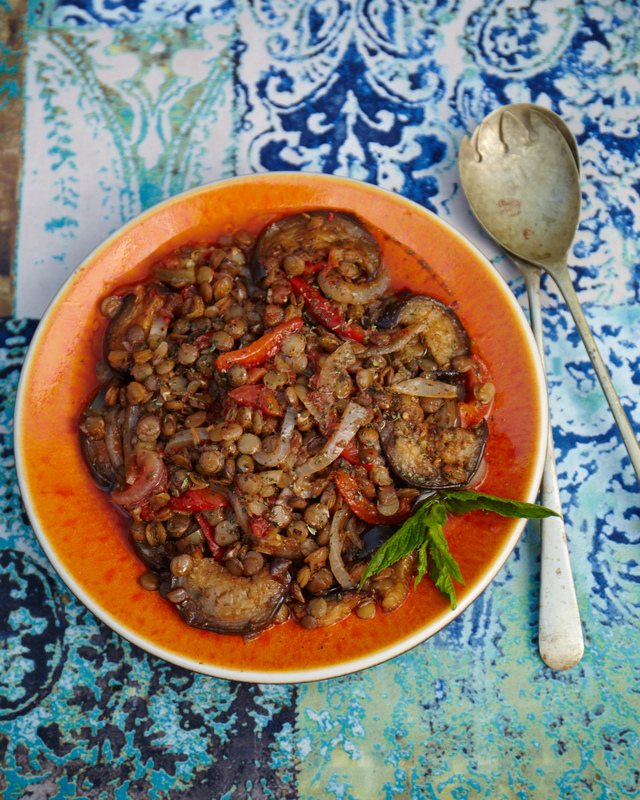 Ozlem will also have copies of her cookery book with her which she will be delighted to sign for anyone who wishes to buy a copy. The price of the book is 25 GBP or equivalent in TL. Please pay in cash and preferably in GBP. Can you also please let the hotel know at the the of booking if you are interested in buying a book to give us some idea of the numbers. 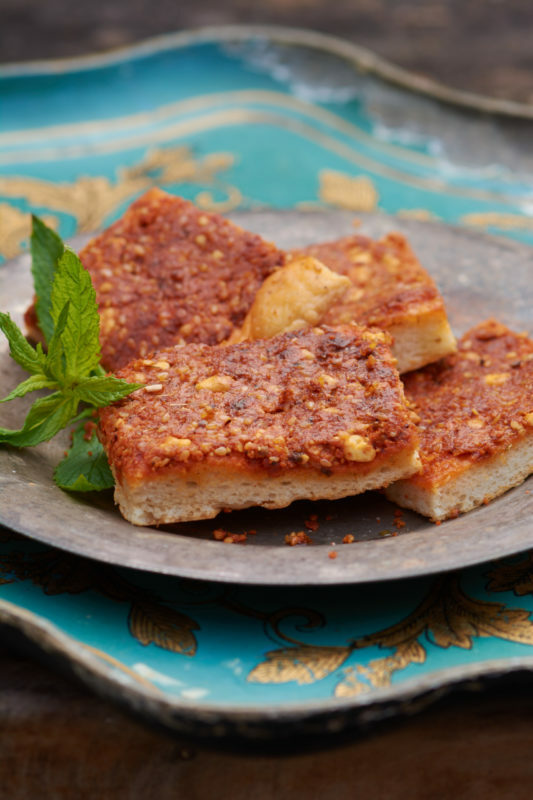 Please join us for a Scrumptious Antakya style supper at the lovely Mozaik Bahçe on Thursday, April 25th from 7.30pm. 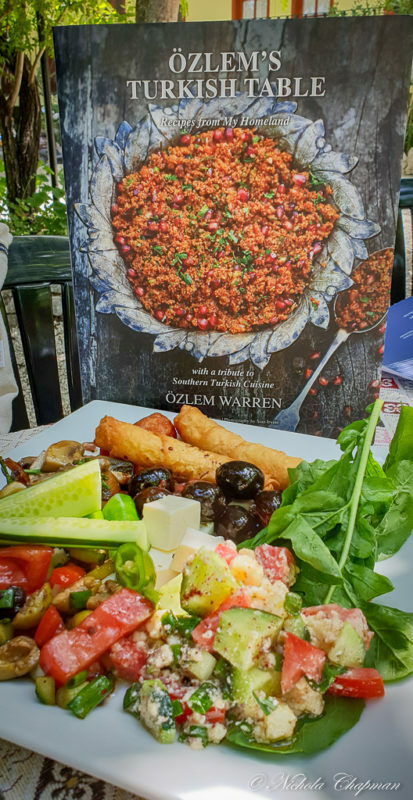 Ozlem Warren is delighted to be back at Mozaik Bahçe, where she will be preparing delicious specialities from her cookery book, Ozlem’s Turkish Table:Tales from My Homeland, with the wonderful Mozaik Bahçe team. 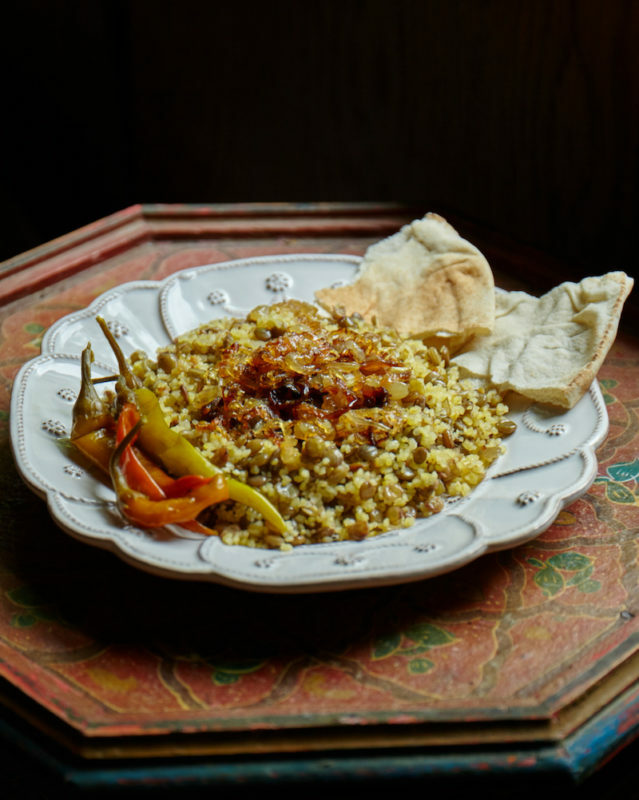 With each course served, Ozlem will also talk about Turkish cuisine, give recipe tips and stories from her homeland, that inspired her book, Ozlem’s Turkish Table. 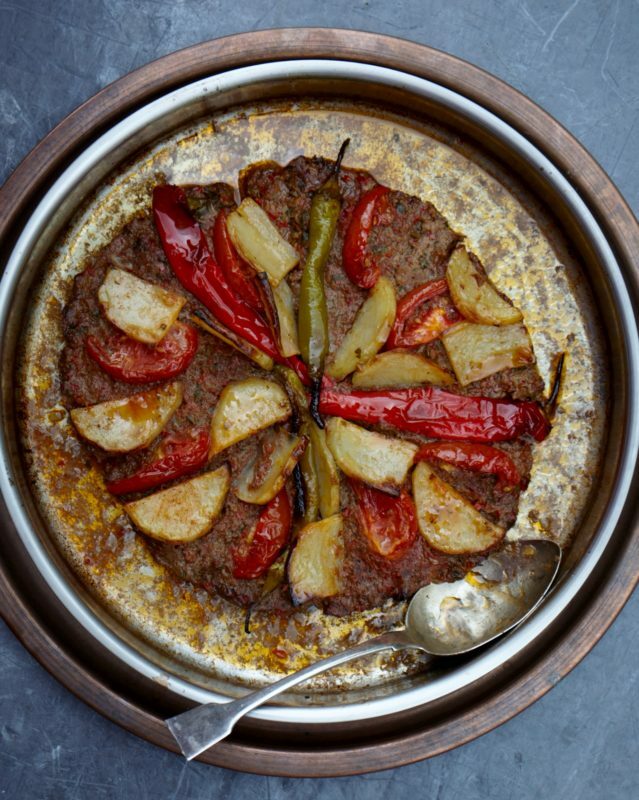 Ozlem will also have her cookery book with her which she will be delighted to sign for anyone who wishes to buy a copy. Cost per person: 95 TL per person. Special offer: 10% off a bottle of wine on the night. Main Course – Antakya’s Traybake kebab, Stuffed dried aubergine dolma, Bulgur and lentil pilaf with caramalised onions (Mercimekli As) and Shepherd Salad with sumac dressing. Please message Mozaik Bahçe on Facebook or call to book your table. Can you also please let the restaurant know at the the of booking if you are interested in buying a book to give us some idea of the numbers. 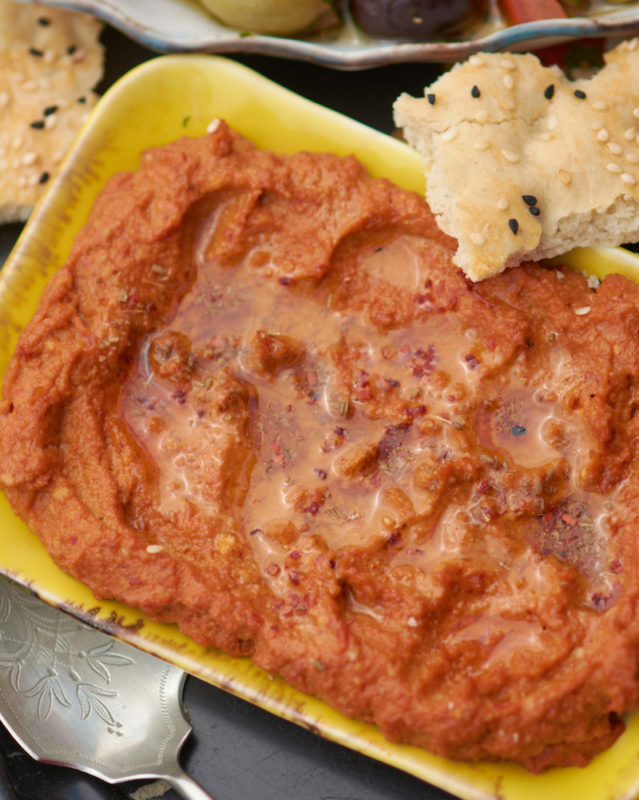 Please join us for a scrumptious hands on Turkish cookery class where we will cook the menu below from Ozlem’s Turkish Table cookery book together and then sit down and enjoy our creations in the Yakamoz Hotel’s beautiful grounds. Participation is limited to 10 people. 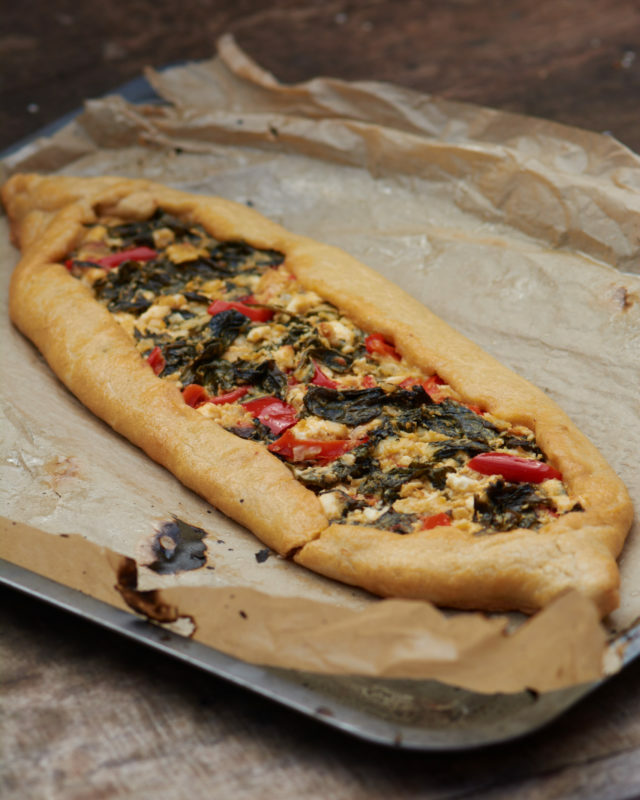 All this for the very special price of 35 GBP (cash) per person – the cost includes all ingredients, recipe pack for everyone, Ozlem’s instruction and sit down lunch together afterwards.